The Pittsburgh Penguins are 42 games into the season, which means it’s just past midseason. As we did with the forwards, it’s time to grade the performance of the Penguins’ defensemen and goalies. 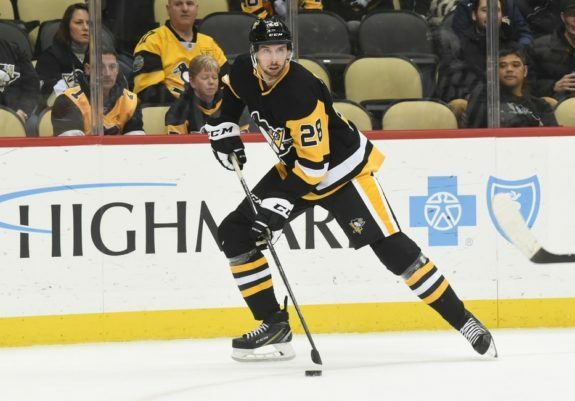 The blue line has never been their strongest area, but the bounceback of Kris Letang and some other surprises have helped mask some of the shortcomings. Meanwhile, Casey DeSmith’s strong play and Matt Murray’s return to form have brought stability to their crease. *Note: Justin Schultz (four games) and Chad Ruhwedel (11 games) aren’t included on the midseason report because they’ve played fewer than 25 percent of the season (21 games). After having arguably the worst season of his career in 2017-18, Letang is currently a Norris Trophy candidate through the first half of the 2018-19 season. The 31-year-old has 37 points — ten goals, 27 assists — through 40 games this season and is on-pace for a career-high 74 points. He’s also fourth among skaters in time on ice per game at 26:02 per night. Defensively, Letang’s made smarter decisions, closed off passing lanes, been aggressive in front of the net and along the boards and has the fourth-most takeaways among defensemen. At five-on-five play, Letang holds a Corsi For percent (CF%) of 54.3, Fenwick For percent (FF%) of 55, Shots For percent (SF%) of 56.2, Goals For percent (GF%) of 64.3 and Scoring Chances For percent (SCF%) of 54.8. As for relative stats, Letang’s CF% Rel of 8.7, FF% Rel of 9 and SF% Rel of 10.7 rank first among defensemen with 500 minutes played at five-on-five, while his GF% Rel of 12.5 and SCF% Rel of 7.4 rank 11th and fourth, respectively. With Letang on the ice, the Penguins are potentially the most dangerous team in the league. Letang has a case for the best defenseman in hockey right now. With Mark Giordano and Morgan Reilly as his only challengers, it’s a much different scene than a year ago when it looked like his neck injury had derailed his career. The risk-taking, aggressive and ability to redeem himself version of Letang has returned, and perhaps better than ever. Letang should be the Penguins’ nominee for the Bill Masterton trophy, should get Hart Trophy votes, and if there was a comeback player of the year award, he would easily win it. That’s how good Letang’s been this season. There’s an argument to be made that Dumoulin is the most underrated defenseman in hockey. The only thing holding him back from an A+ is Letang setting such a high bar for Dumoulin to reach. In 42 games this season, the 27-year-old has 11 points while averaging a career-high 21:15 per game and has complimented Letang on one of the best defensive pairings in hockey for the fourth straight season. Dumoulin holds a CF% of 54.3, FF% of 54.4, SF of 55.2, GF% of 63.2 and SCF% of 55.6. You know how Letang ranks first among defensemen in CF% Rel, FF% Rel and SF% Rel? Dumoulin is second with a CF% Rel of 7.8, FF% of 7.2 and SF% Rel of 8.5, while his GF% Rel of 11.8 and SCF% Rel of 7.9 rank 14th and 3rd, respectively. Together as a pair, Letang and Dumoulin have a case as the league’s best. Among pairs that have played a minimum of 400 minutes together, they have the eighth-best CF% (54.7) and GF% of 67.9, while their CF% Rel of 8 ranks first and their GF% Rel of 16.2 ranks second. Whether he’s with Letang or not, Dumoulin is a legitimate top-pairing defenseman and has gotten better in each of his first four seasons. Expect him to remain on top of his game as the season progresses. The Penguins held onto Daniel Sprong until his trade value was virtually dead and still ended up getting a huge upgrade to their blue line with Pettersson. 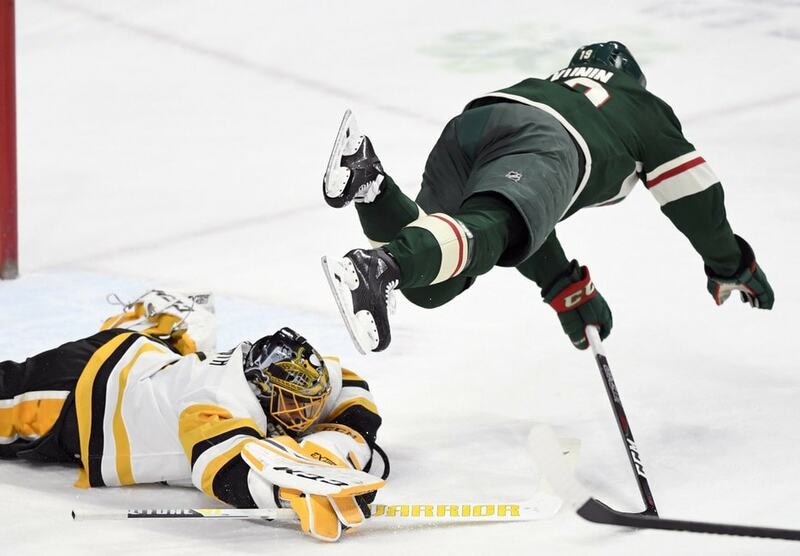 When the 22-year-old Swede was acquired for Sprong on Dec. 3, there were no guarantees he’d play once Justin Schultz returned from injury, but he’s certainly earned the right with his play. In 17 games since being acquired, Pettersson has four assists while skating 14:51 a night, made a couple of goal-line stops and left a strong first impression on his new team. His advanced metrics (47.3% CF, 45.1 FF%, 46.5 SF% and 49.3 SCF%) aren’t as kind. Partially because any pairing without Letang or Dumoulin gets caved it and he plays with Jack Johnson, but his CF% Rel of .02, GF% Rel of 16.9 and SCF% Rel of 1.1 are solid considering the circumstances. Pettersson has also been on the ice for 13 goals for, compared to just four against. That’ll do. For someone who’s 22, Pettersson sure hasn’t played like it. He’s displayed a good first pass, strong defensive zone play and hasn’t made the mistakes that young blueliners typically do. If he can carry his strong play over to the second half, the Penguins will have a formidable top-four come playoff time and Pettersson will earn a nice raise as a restricted free agent this offseason. Riikola wasn’t even supposed to start the season with the Penguins when he signed with the organization back in May, let alone survive the first half. Now the 25-year-old is a veteran of 22 NHL games and has improved each night. For the season he has one goal and one assist for two points while averaging 16:55 per game. While Riikola has been the worst possession defenseman for the Penguins with a CF% of 44.5, FF% of 44.4, SF% of 44.3 and SCF% of 45.1, he also came over to North America after spending his first six professional seasons playing for KalPa of Liiga. He’s still learning the North American game and has had some growing pains, but he’s limited his mistakes and been competent on the back end for the most part. Maatta is a complicated case. In 41 games this season, the 24-year-old has 11 points, and while he hasn’t been as consistent as he was in 2017-18, he hasn’t been as bad as it seems either. There are constant calls for him to be traded, the eye test isn’t overly kind to him and advanced numbers aren’t in his favor (45.5 CF%, 47.3 FF%, 47 SF%, and 45.4 SCF%). Despite the poor numbers, according to goals above replacement, Maatta ranks as one of the 10 most valuable skaters in the league. He’s not the team’s best blueliner, but he isn’t the worst either. Maatta’s made his fair share of mistakes, and that probably is more to blame on his lack of speed than his hockey ability. He’s a smart player and makes a lot of good plays, but nobody’s going to remember those when you’re getting beat 10 out of 10 times in race for the puck. Although relative to last season, it’s been a big step back for Maatta. Even with his down season, it’s hard to justify scratching him over Johnson and Jamie Oleksiak when Schultz returns. 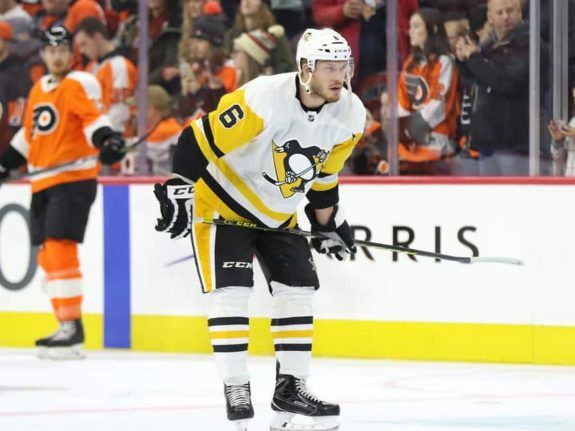 Oleksiak started the season strong and was arguably the Penguins’ third-best blueliner through the season’s first month, but his play has declined since and he seems to be the odd-man out since suffering a concussion in a fight with Tom Wilson on Dec. 19. The 26-year-old has four goals and 11 points in 33 games this season and should easily surpass his career high of 14 points set last season if he can get back into the lineup. But with the Penguins winning games, the blue line playing well and Schultz getting closer to a return, Oleksiak may not see much playing time the rest of the way. There was some hope that a new team and system would help Johnson be more successful, but through 42 games, it hasn’t gone according to plan. While he has had a few good games and has looked better beside Pettersson in recent weeks, he’s generally struggled this season. He’s getting caved in possession and shots-wise, with a CF% of 45.6 and SF% of 44.8 and allowing too many goals and scoring chances, with a GF% of 43.1 and SCF% of 48.3. It’s not just the numbers; it’s also the infamous eye-test that points to him struggling. Johnson hasn’t read plays well, he’s lost his man on several occasions, handles the puck poorly and often drags himself out of position for no reason. The first season always brings a learning curve along with it, but at 31 years of age and carrying a $3.25 million cap hit, he needs to be much better over the second half. Matt Murray’s hot return be damned. The Penguins wouldn’t be in their current position if DeSmith didn’t hold down the fort while Murray was injured/struggling. In 26 games this season (22 starts) DeSmith has a 12-7-4 record, a .924 save percentage (SV%), a 2.47 goals-against average (GAA) and two shutouts. It hasn’t been all smooth sailing for the 27-year-old. 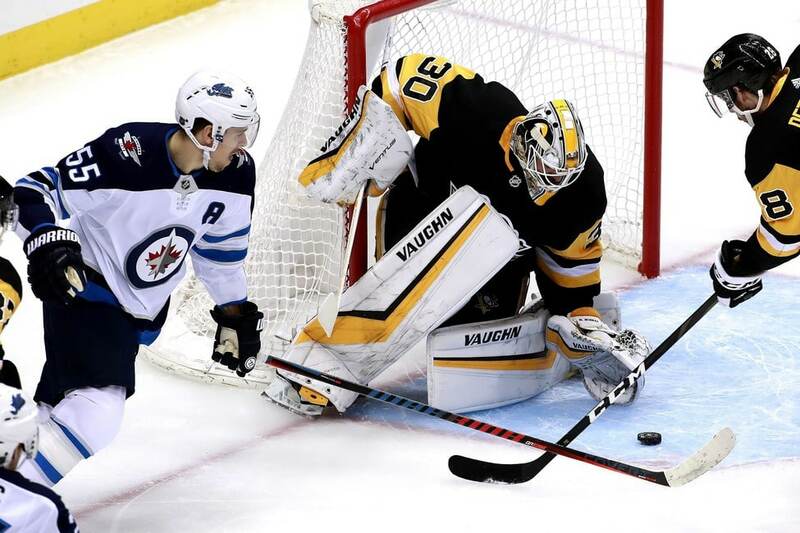 He’s made a ton of saves in high-danger situations, yet given up a lot of bad goals in low-danger situations, à la Marc-Andre Fleury, and isn’t very positionally sound but it’s gotten the job done. With Murray back to his old self, DeSmith is going to see less playing time over the remainder of the season and will need to stay sharp when called upon over the next three months. Murray started the season about as bad as one possibly could, but in his seven games since returning from an injury, he’s looked like a completely different goalie. In his first 11 starts this season, he was 4-5-1 with a .887 SV%, a 4.08 GAA, one shutout and had been pulled in three outings. In his seven starts since returning, he has allowed just nine goals and is 7-0-0 with a .962 SV, a 1.28 GAA and two shutouts. For the season, he is now 11-5-1 with a .913 SV%, a 2.89 GAA and three shutouts in 18 starts. A big reason the Penguins have been able to turn their season around is the improvement of their goaltending, which is something you would’ve been hard-pressed to say last season. Murray’s return to form has been a huge part of it as well. What’s become clear since his return is the fact that he wasn’t healthy to begin the season. The 24-year-old has his confidence back, looks quicker, is locating pucks better than he was before his injury and is making big saves when needed. The concerns and questions surrounding his ability to return to form have been answered. 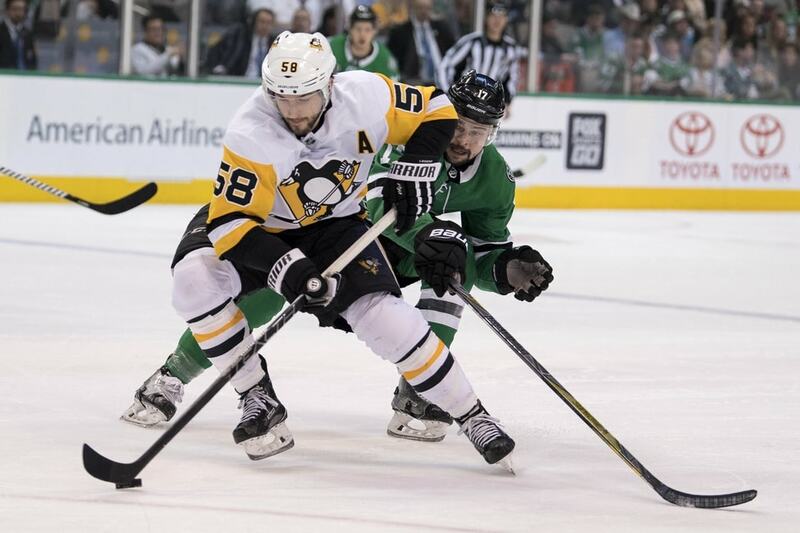 All Murray has to do is continue riding the momentum into the second half and focus on leading the Penguins deep into the spring. During the Penguins’ early season struggles, general manager Jim Rutherford admitted the team has never been defensively minded and it’s been obvious over the first half of the season. They’re going to give up their fair share of shots and grade-A chances, but with the goaltending at its best since the 2016-17 season, it shouldn’t be as much of a glaring issue in the second half. 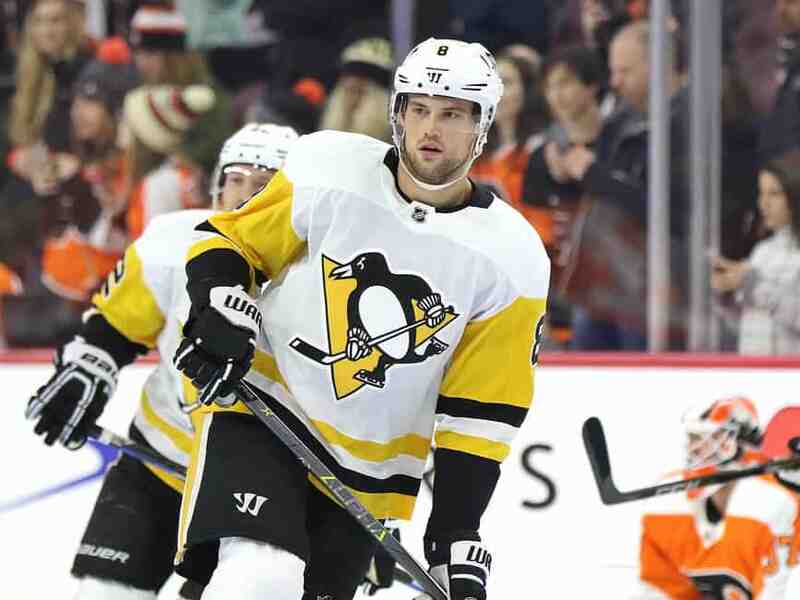 With Schultz likely to return before the trade deadline, the Penguins will probably look to add a depth defensemen rather than make a big splash on the back end. The Penguins do need to make a decision regarding Johnson. No team is going to take on his $3.25 million cap hit, especially when it has another four years on it. Will they scratch him when Schultz returns or will put him on the third pair and hope he can figure his game out? Either way, the Penguins blue line is in better shape now than it was at the beginning of the season. How much better remains to be seen, but there’s a lot of time between now and April to figure out any issues plaguing the team.